The crowds were lighter than I expected on Friday. As a result, I covered more ground than expected, but with each room, my notes and publishing backlog grew. I’m expecting today to be actually busy, so that should give me time to catch up a little. The day was full of surprises, there were a few rooms that I was expecting to sound great that, sadly, didn’t (you won’t be hearing about those from me, Mom said, “if you can’t say something nice, don’t say anything at all”). There were others that I thought would be decent but ended up being completely delightful. There were products that I didn’t know existed that are now on my “must evaluate” list–a few both personally and professionally. ESS is no stranger to anyone in this industry. Their innovative Heil Air-Motion Transformer™ was impressive when it appeared on the scene 45 or so years ago, but what most people don’t know is that, after a thirteen-year hiatus, ESS is back and continuing to innovate under the leadership of Ricky Caudillo. His new products have better cabinets, treated paper cone woofers, and he says that they don’t require topflight amplification to sound great. I was impressed by what I heard and look forward to revisiting room 538 later this weekend. I didn’t quite know what to expect when I walked into Paul Morrison’s room (8013)…why two pairs of loudspeakers and subs at different heights? After a brief demo, it all made a lot more sense. 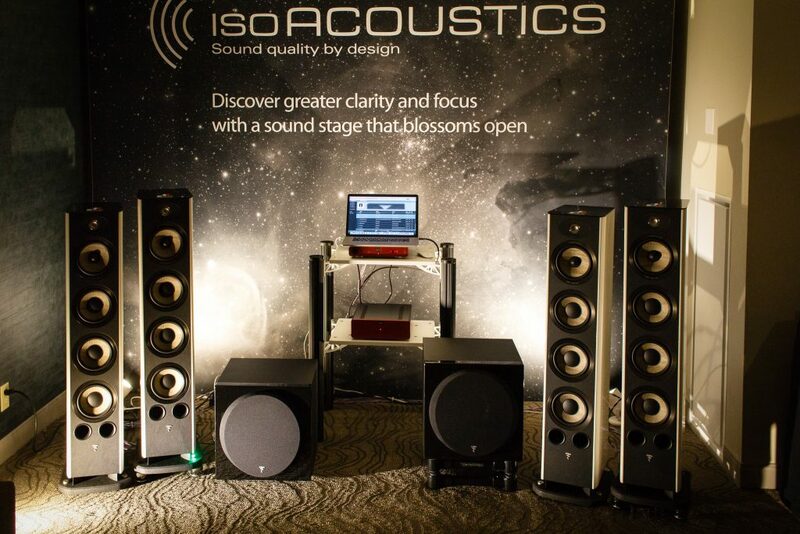 The left two speakers are simply spiked to the carpet using manufacturer provided supports while the right pair is supported using isoACOUSTICS isolation system. Same goes for the subs. The result was a surprising increase in soundstage width, depth. The explanation is that without isolation, energy reflects from the floor back into the loudspeaker cabinets, causing the soundstage to collapse a bit. Like lowering the noise floor in your listening room, the impact of these reflections is something that you won’t notice until they are gone. Fascinating! 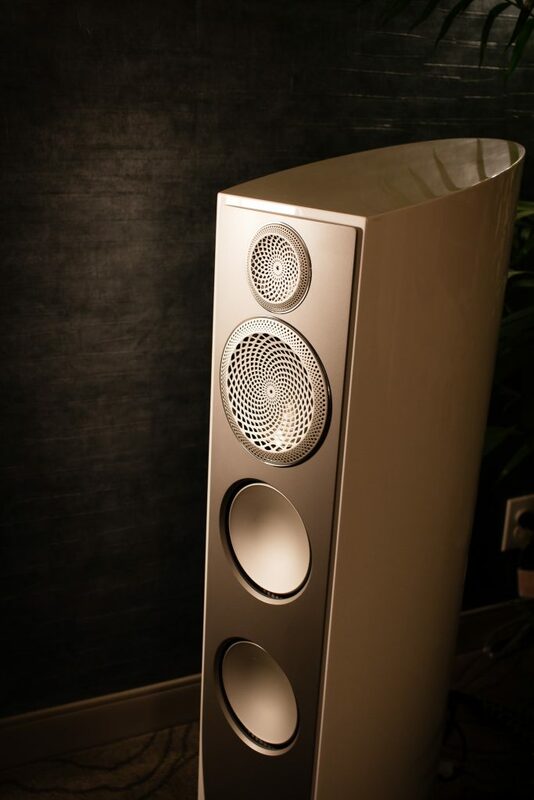 The Paradigm room (9007) was graced with their Persona loudspeakers that really do sound as good as they look. The top end is airy and lite and should complement most listening rooms well, although all of that energy up top could be a little much for rooms lacking carpeted surfaces and diffusive surfaces. I’m looking forward to giving them another listen today. I tried to take the best advantage of the two-hour headstart afforded to members of the press on the first day, but despite my best efforts, only visited half of the rooms on my list. The layout is good this year with most exhibits in the tower. The stairwells are unlocked, so one can take the elevator to the 11th floor and then work their way down via the stairs without waiting on the lift. 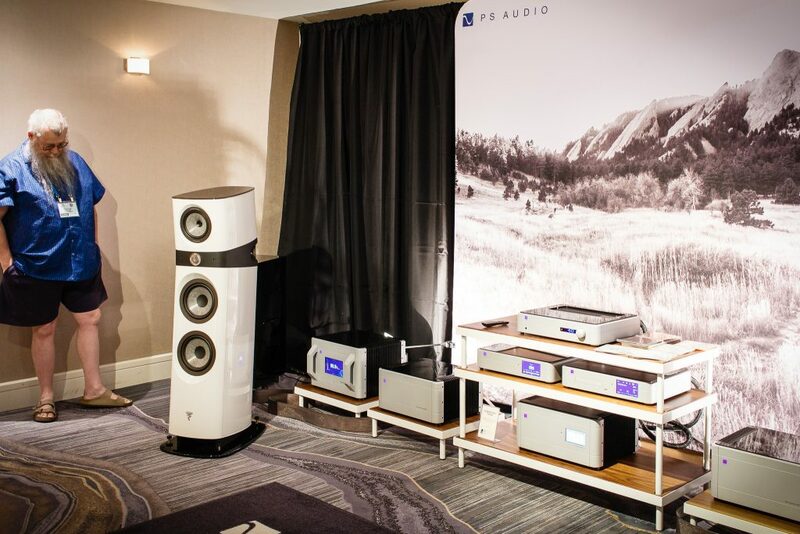 It’s way to early to even be thinking about best-sound-of-show, but Paul McGowan’s room, featuring Focal loudspeakers and his new P20 power regenerator was delivering some of the best sound that I’ve heard anywhere. 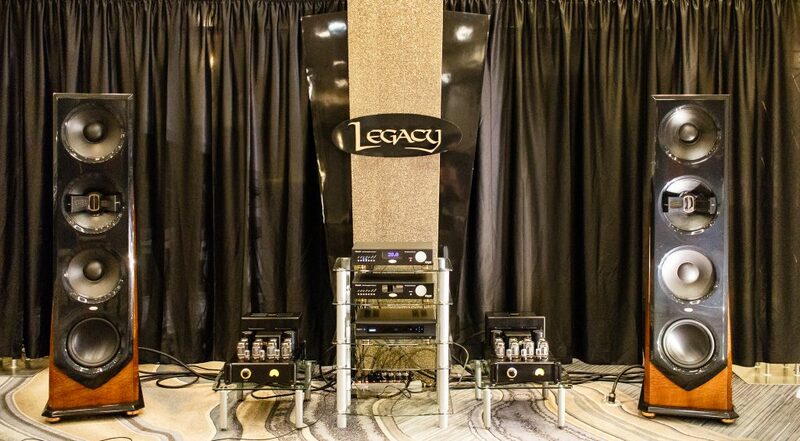 Legacy Audio’s much-anticipated VALOR loudspeaker was ready to play when I stopped by first thing this morning. At the time, Bill was putting the finishing touches on room correction for the CALIBRE stand mount loudspeakers which were clearly punching far above their weight! 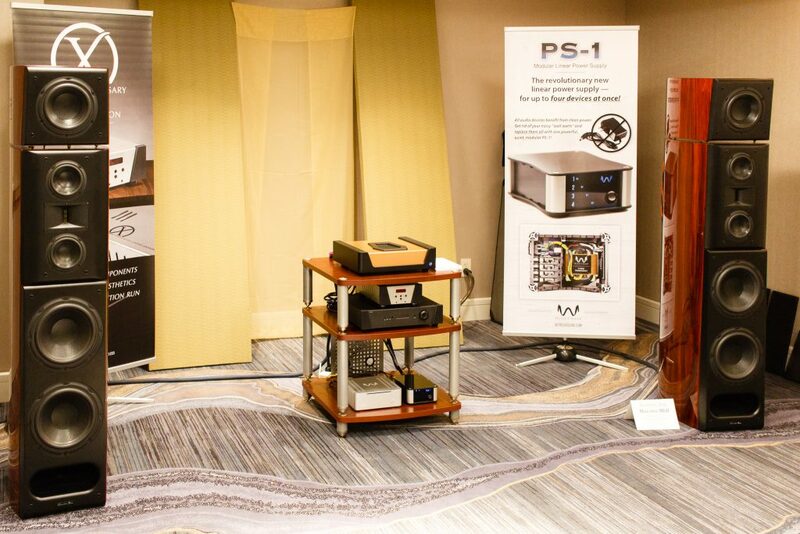 The Wyred 4 Sound room sports their new statement nextGEN amplifier driving a premier appearance of the Acoustic Zen Maestro loudspeakers. The combination thrilled playing Drum Improvisation by Jim Keltner. 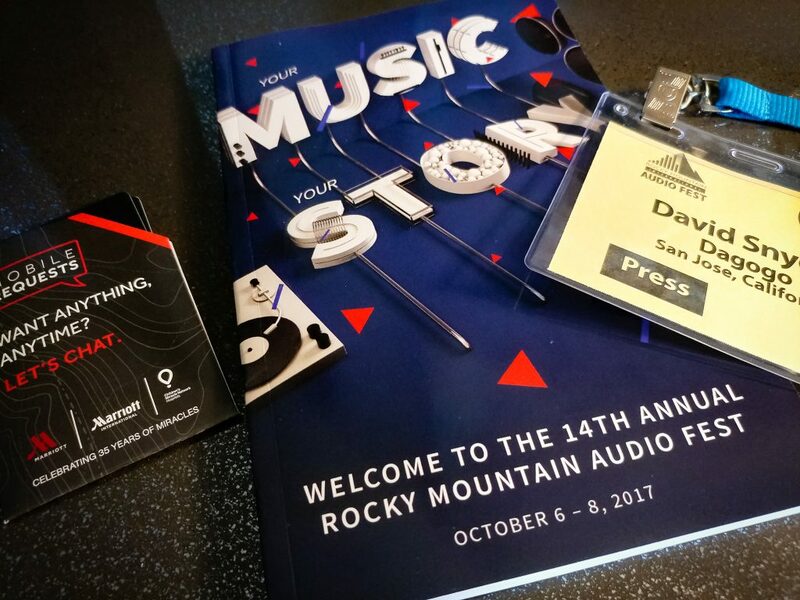 I’ve been an audiophile for thirty years, but weirdly, this is my first time traveling to Denver for the Rocky Mountain Audio Fest. It’s a little intimidating with 400 or so companies displaying products in over 160 exhibits and an expected attendance north of 3,500. It’s impractical to thoroughly explore even half of what’s here in just three days, so I’ve got to do some serious pre-show planning this evening. After scanning press releases that many of the attending manufacturers have issued during the weeks leading up to the show, I’ve observed some interesting trends that may affect how I choose to allocate time. 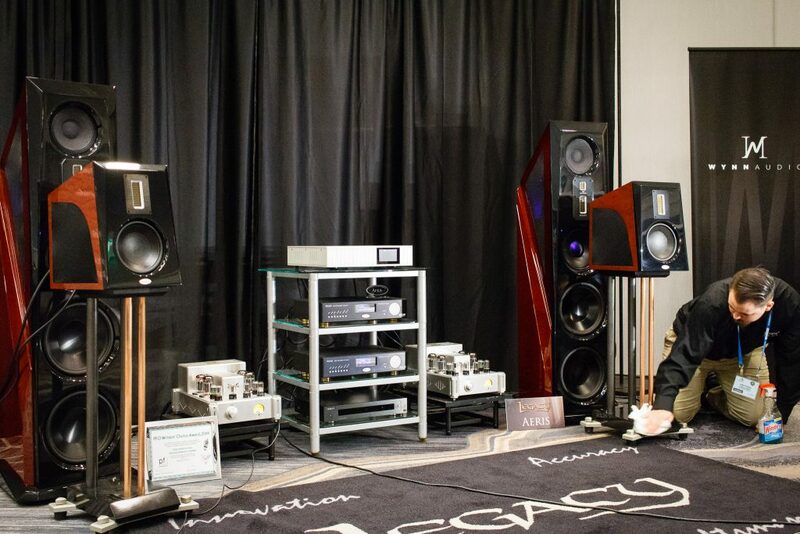 As a component, the traditional integrated amp has been mutating, and this year’s RMAF may reveal where evolution has taken it. It all makes sense when you think of it. You start with a basic integrated amp—source selection and amplification with attenuation and a second gain stage between them. Many include a built-in phono stage, so add a DAC and some digital inputs and now you have an integrated amp that supports both analog and digital sources. But, why stop there? Add a small board computer with the right software, and it becomes a Roon output with support for local and Internet streaming. Add all of these changes up, and what have we got? Something that looks rather like that stereo receiver that you had back in the ‘80s before home theater appeared on the scene and made everything more complicated. I’m looking forward to checking all of these out over the next three days. I’ll go into more detail as the week progresses, but all five of the budget system rooms this year include two systems…one based on loudspeakers and a second based on headphones…almost begging participants to compare performance at their given price point. There’s the onsite CANJAM, of course, but also silent listening rooms that are set up with only headphone systems. Mojo Audio is here with dedicated headphone rigs in the $20k to $40k range. Yikes! 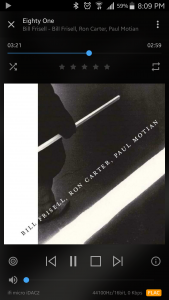 Roon is an amazing piece of software for organizing your local digital music collection and seamlessly expanding your library via streaming selections from TIDAL. 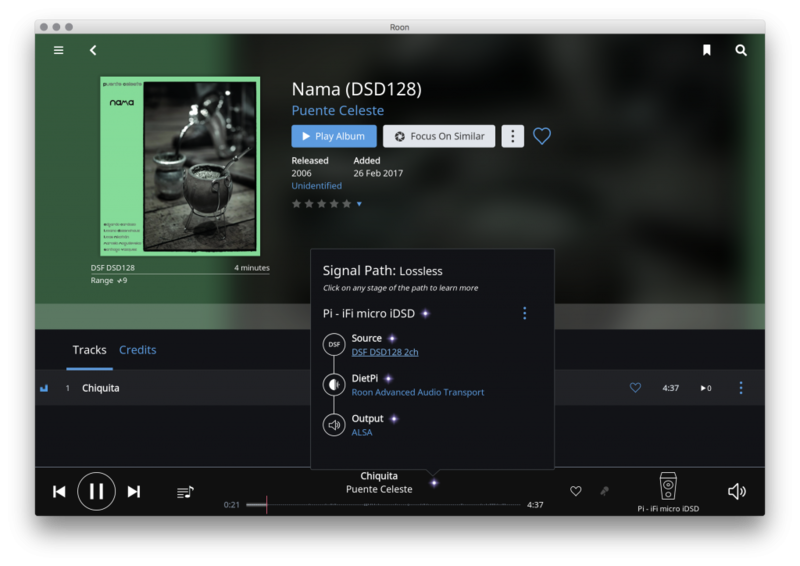 The v1.3 update of Roon has been covered well on many sites so I won’t dig into it here, but DSP and convolution plus third party integrations shift Roon into the Must Have category for the modern audiophile. What Roon actually does has been covered thoroughly on other sites as well. If you have not tried it, I encourage you to take advantage of Roonlabs’ free trial. However, keep in mind that if you only run it on your laptop or desktop PC, you’re not getting the full picture…not even close! No…to really make Roon sing in your HiFi setup, you’re going to need at least two computers, a laptop, a tablet or smartphone, and a local wired + wifi network to tie this all together. It sounds complicated, but I promise that you don’t need a computer science degree or thousands of dollars to build a system that sounds better than you thought it could and is an absolute joy to use. Core (Roon Server) – a backend process (no UI) that acts as the communications hub for Roon. It does all of the heavy-lifting, including indexing your music library, communicating with 3rd party services like TIDAL and Last.fm, downloading enhanced metadata, upsampling, convolution, and other DSP tasks, and managing devices and zones. Noise – Laptops and desktops are mechanically and electrically noisy devices. Some are better than others, but just about every computer with decent performance uses one or more fans to stay cool. Some also have mechanical hard disk drives that add mechanical vibrations to the soundtrack. Lots of other internal circuitry make for a very electrically noisy environment. This is not something that you want to have in your listening room if you are seeking high-performance playback. It’s certainly not something that you want to have directly connected to or otherwise sharing the ground plane with your audio gear. Convenience – An app running on your smartphone or tablet is a more convenient way to control what’s playing than walking over to the PC or awkwardly fiddling with a laptop that has a 5m cable attached to it. You can control what music is playing in every zone of your house simply by reaching into your pocket and pulling out your smartphone. Queue up an album or two for playback in the main listening room, set your tablet or phone face down, and enjoy playback without distractions. Quality – This falls under the category of your mileage may vary; however, at least in theory, feeding a USB DAC from a computer with very low CPU utilization usually results in better sound. Possible reasons for this include less USB jitter, lower DPC latency, and less electrical noise entering the DAC. A general purpose computer (eg., running MS Windows or Apple OS X) has many hundreds of background threads running to keep the system responsive to all of its inputs, to keep software updated and safe from security issues, and so on. All of these background tasks keep the CPU occupied while you would prefer for it to be 100% dedicated to feeding the DAC. The traditional way to address the Quality/CPU utilization issue is to use a powerful server with many high-speed CPU cores that can handle the background tasks with minimal effect on latency. However, unless this system also employs liquid cooling, it will be noisy, so we’ve traded one problem for another! A second approach is to run audio specific optimizers or system tuners which disable most background tasks that are not required for music playback. 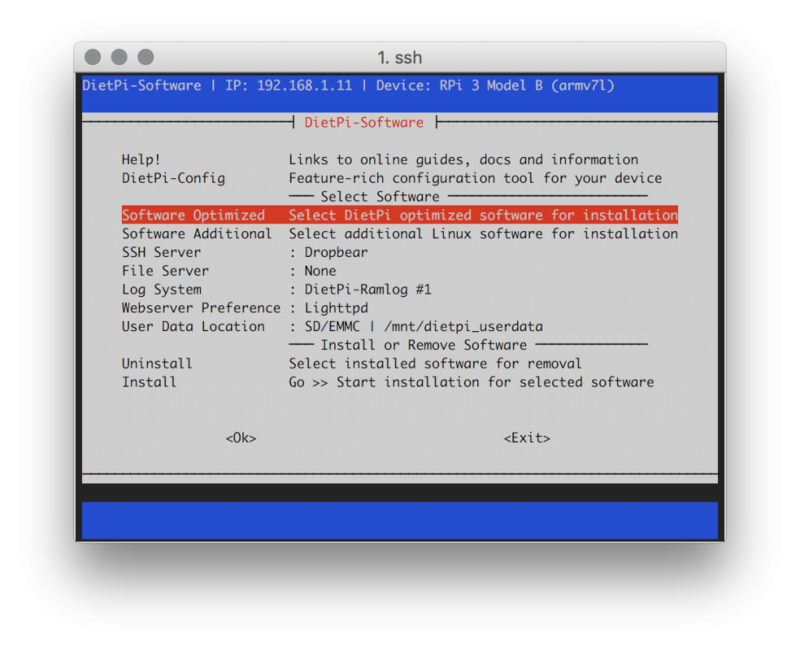 This is a compromise approach that trades some usability for some improved streaming performance and is commonly employed on PCs that can serve as dedicated as media players. However, as I have suggested, there is a better way: instead of running the media player on one computer, use multiple devices, each optimized for its task. The device that you attach to your DAC in the listening room must be fanless, solid-state, and completely silent. 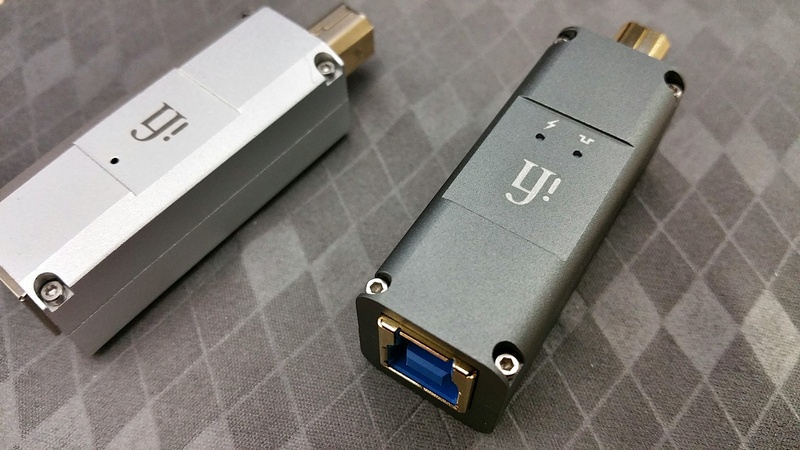 This typically necessitates using a smaller, low power device, but that’s fine because its only task is to stream digital audio from a LAN connection to an attached USB or S/PDIF DAC. This device ideally behaves like an appliance…connect Ethernet, power, and a digital output cable and it just runs. It should have few configuration options and it should not be burdened with upsampling or DSP tasks. A device in this category is sometimes referred to as a NAA (Network Audio Adapter). Examples include the Sonicorbiter and microRendu from Sonore, but solid-state fanless PCs from Logic Supply, Azulle, and Minix are popular alternatives that, when combined with and OS tuners like Audiophile Optimizer or Fidelizer Pro, can produce acceptable results. Your choice of case and heatsinks depends on if you intend to add one of the HiFiBerry DAC Hats to the device. 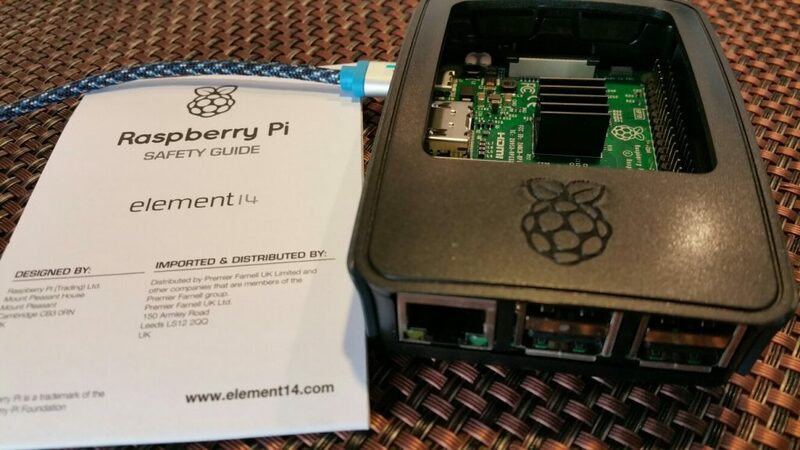 If you are content with only USB connectivity, the high profile heatsinks I have recommended will keep the device cooler, and the official Raspberry Pi 3 case for $7.75 will do just fine. Peel off the backing from the heatsinks and put them on the two chips of the same size, then snap the Pi 3 board into the case. Assembly is complete. If you’ve ever built your own PC, this process is bizarrely simple! 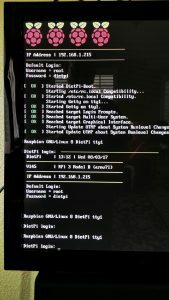 The Pi will go through a couple of cycles of updating itself after you login, and then you’ll be presented with a simple setup menu. 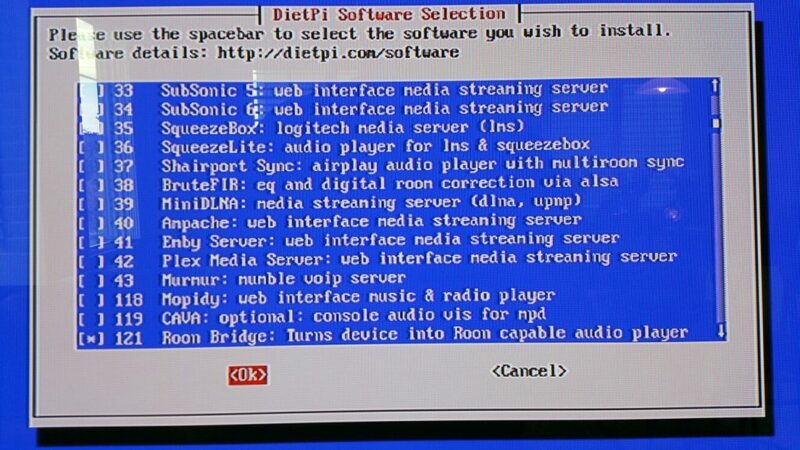 Accept all of the defaults, but go to the “Software Optimized” section and enable “Roon Bridge” under “Media Systems”. After another reboot, connect your DAC and your new Roon output should be ready to go. If you have not already done so, install Roon Server on another computer or laptop that’s on the same network. Ideally, this will be a computer that you can leave on all of the time. If you don’t have something like this, consider one of the small fanless PCs that I listed above, but be sure to select one that runs a 64-bit OS. What’s so great about this setup, again, is that the PC running Roon Server handles all of the CPU intensive work. As you see below, I have the more powerful server PC (an HP Stream mini in my case) applying room correction filters that I generated using Acourate before streaming the results to the tiny Raspberry Pi in the listening room. CPU usage on the Pi is no greater than it would be if I was playing this album without DSP. Separating these functions provides all of the benefits from DSP with none of the noise and jitter downsides. Interacting with the system is a simple matter of reaching for a smartphone or tablet. If any of this sounds interesting, you may be wondering specifically what bits you would need to set up something similar in your listening room. The most difficult part for most audiophiles is running a wired Ethernet connection. 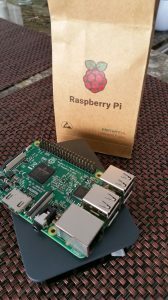 While the Raspberry Pi 3 Model B does have support for wifi, I have not tested it and generally find that a wired connection is faster and more reliable. Unless you really have no choice, save yourself the headaches and have an Ethernet cable run or an Ethernet jack installed. To set up the system that I have described, you’ll need an external USB DAC that you can connect to the Pi. If you’d like to use your existing DAC but it only has an S/PDIF input, consider adding a HiFiBerry Digi+ Pro card. This $45 accessory just snaps onto the top of the Pi’s main board and adds high-quality COAX and TOSLINK S/PDIF outputs with dedicated clocks. If you don’t yet own a DAC, and you’re not sure that you want to make the investment now, the HiFiBerry DAC+ Pro is a great option with ridiculously good performance for its tiny $45 price. Again, dedicated clocks make the “Pro” model well worth the extra few bucks vs. the other models. Feel free to exclude parts that you already have or swap out parts based on personal preference, but this should give anyone a decent place to start. I keep saying it, but this is a really great time to be involved with the audio hobby. Thanks to recent advancements in streaming technology (TIDAL + MQA), distributed media player software (Roon), and digital room correction (Acourate), and small, inexpensive computers (Raspberry Pi 3 Model B) it’s possible to build an audio system that, with meticulous setup, has the potential to outperform traditional HiFi systems which cost many times more. This same digital technology can also help take your existing system to the next level of performance and convenience with minimal expense and effort. If there’s anything that I can do to help you get setup, don’t hesitate to ping me. I’m “dsnyder0cnn” at gmail.com. Cheers and happy listening! I’m so excited! I just have to share…even though chances are slim that you will have any need for a setup like this. Before I get started, let me first explain my situation and why I’m excited. I have large loudspeakers in a small room, so to get the bass under control, my system really needed some help from a digital room correction system. After much research, I chose Acourate from AudioVero to design a target response curve and build FIR filters. See my previous blog post for details. The final step was to configure the convolution engine within JRiver Media Center to apply these filters during playback. The first two are no big deal; I generally listen to entire albums or playlists, so lag is a non-issue once the music starts. I also only have a tiny handful of DSD tracks which, if I cared, could be converted to high-rez PCM files. However, that last issue–no TIDAL streaming–has been a major bummer! When someone suggests new music, I can login to TIDAL and preview it on my laptop but hearing what it really sounds like in the Loft must wait until I buy the CD or download it from HDtracks. When a friend drops by for a listening session without a thumb drive containing their favorite reference tracks, they are stuck wandering aimlessly through my collection. Not cool. Until now, my only hope has been for a TIDAL player like roon to add a convolution feature or for JRiver to add support for TIDAL streaming. Sadly, neither of these things are likely to happen anytime soon. Other alternatives like feeding JRiver’s WDM or ASIO driver from a local TIDAL streamer proved unreliable at best. I’ve spent more hours than I care to admit trying to get TIDAL lossless streaming and digital room correction working together in the Loft. 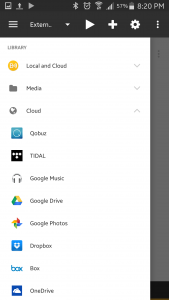 Ignoring room correction convolution for a moment, JRiver acts like the “FIFO”, streaming digital music data from my Synology NAS to my DAC, so the question was, “Is there a way to stream TIDAL to JRiver?” Thankfully, the answer was yes! JRiver can be configured as a DLNA Renderer. This is just a fancy “DLNA” way of saying that JRiver can be streamed to and controlled by an external media player. All I had to do was find a TIDAL player that could act as a DLNA server/controller and I’d be set. The answer was an Android smartphone/tablet app called BubbleUPnP UPnP/DLNA. I had avoided DLNA in the past since I imagined that using it would somehow compromise sound quality; however, once I got things configured correctly, I have yet to notice any loss in quality. 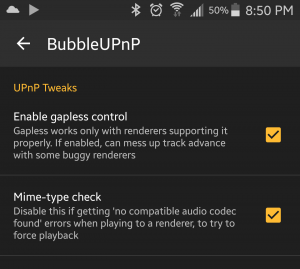 Next, locate BubbleUPnP in the Google Play Store and install it on a compatible Android tablet or smartphone. Although the free version has worked for my testing, I’ll almost certainly spring for the $4.69 version to remove ads and playlist limitations. Note that while FLAC is listed, there’s no DSD…and even if there was, the convolution engine does not support it. …and make sure that “FLAC” is selected for both “Wifi/Eth audio quality” and “Mobile audio quality”. Note that you can optionally use JRemote to pause/stop playback and skip forward/back within the track that’s currently playing. However, JRiver will only “see” one track at a time in the playlist. Also, I found that I can’t resume playback from within JRemote after I stop it; I have to go back to BubbleUPnP to resume. I can do that from either the “Playlist” or “Now Playing” views in BubbleUPnP. 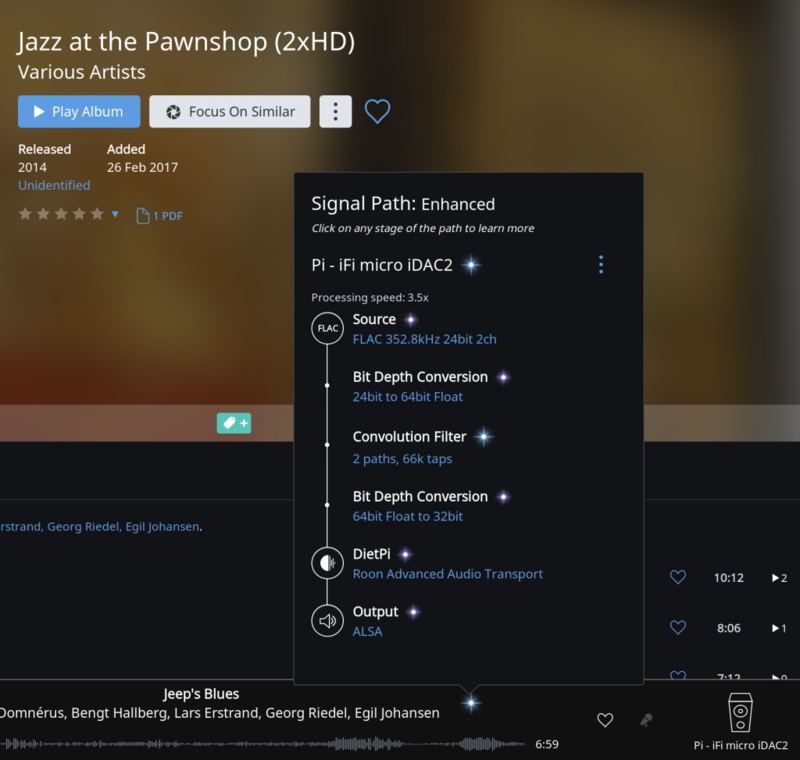 I have not spent much time doing direct comparisons between local FLAC and FLAC streams of the same albums from TIDAL, but this setup really sounds great. I seriously doubt that I could tell them apart when TIDAL has the same master and release. This setup has worked flawlessly with the convolution engine within JRiver that I depend on for room correction, and although the TIDAL interface is a little clunky, once an album is queued up, I forget all about that and just enjoy the music! Even if your use case is less complex, I hope you find some way to take advantage of a setup like this. Cheers and happy listening! Update: If you don’t have an Android smartphone or tablet handy, it may be possible to do the same thing that I have described above on Apple IOS devices using mconnect player. If I get around to testing this, I’ll post any setup gotchas here. 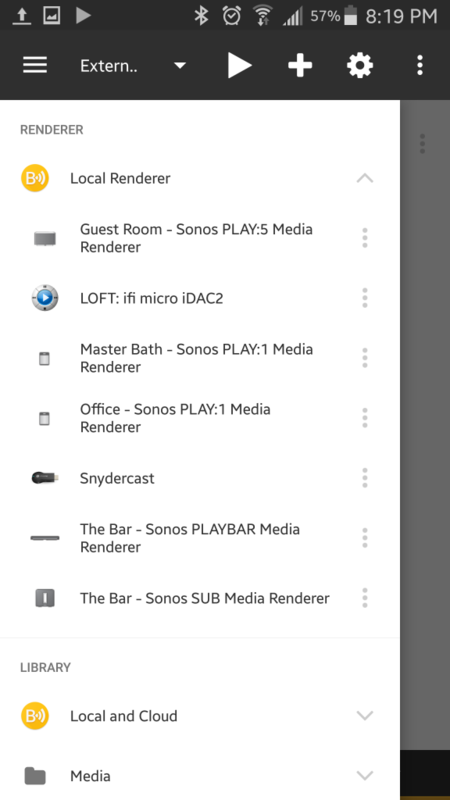 Another interesting use case for this JRiver DLNA Renderer setup is enabling guests to stream music from their mobile devices to your playback system without having to resort to Bluetooth. All they would have to do is install the free version of BubbleUPnP or mconnect player. 2nd Update: I’ve expanded a bit more on the ideas behind this setup on the Morrow Cables Forum. Here’s a link: Can Streaming Sound Better than CD? In spite of the warning, this setting works beautifully in JRiver. With this setting enabled, I can enjoy an album from start to finish with no gaps between tracks. It’s a beautiful thing! Can Digital Make a Room Correct? TL;DR – modern FIR based digital room correction has a place in audiophile playback systems and within limitations can make just about any system more enjoyable; it is no substitute for proper room and system setup, but give it a try! Ask audiophiles which part of their playback system has the greatest influence on sound quality, and most will agree it’s the room. It dominates 50 to 70% of what we hear. That’s staggering when you think about it! 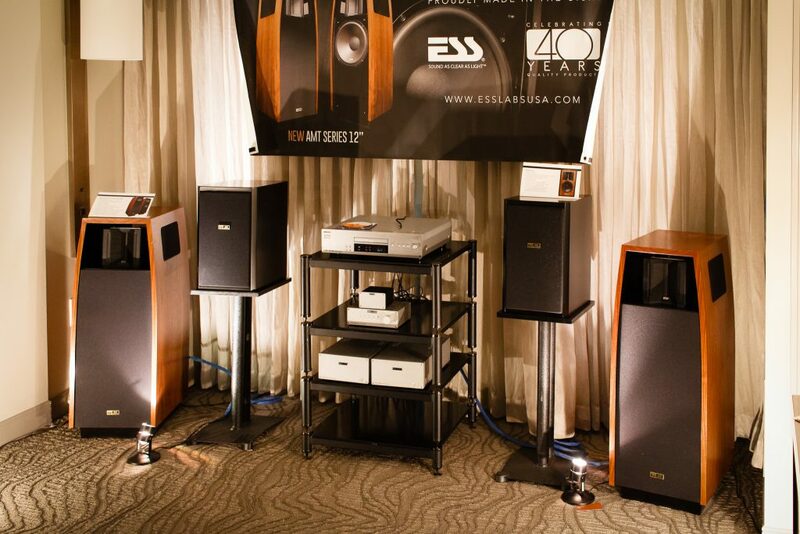 Although a great deal of care likely went into loudspeaker selection, we leave so much performance on the table when we ignore the room’s tremendous contribution to system performance. If we could start from scratch, we might build a golden ratio based room that’s 16.2ft x 26.2ft with a 10ft ceiling, MDF walls and ceiling, bass traps in the corners, and an appropriate mix of absorption and diffusion to achieve an ideal mix of direct and reflected sound. Loudspeakers with well-behaved off-axis response would help to ensure that reflections do not emphasize any particular band of frequencies. Back to reality…few of us will have an opportunity to build such a room, so we’re left to play the hand we’re dealt. Often this means our hi-fi shares a room with other activities and associated furniture that limit listening position, loudspeaker placement, and room tuning options. At best, we may have a dedicated room but one that is of less than ideal size, proportions, and materials. In either scenario, anything that we can do to improve the performance of our room will still affect 50-70% of our system’s sound, so even if options are limited, they are worth exploring and re-exploring as technology changes. Since so much of the sound that reaches the listening position is from room reflections, we want those reflections to be uniform, dictating a symmetrical placement of both listening position and loudspeakers. For example, if we took an overhead map of our room, drew a line from the listening position to a point mid-way between the speakers and folded the map in half along that line, all walls should be perfectly aligned. This is not always possible since many rooms are L-shaped or otherwise not symmetrical, but the acoustic effects of asymmetry can sometimes be reduced somewhat via creative positioning of absorbing and diffusing furniture such as couches and bookshelves and keeping the greatest misalignment behind the listening position. Purpose-built room treatment devices such as corner bass traps, stand or wall mounted absorption panels, and diffusers should be considered if décor permits. Investments of even a few hundred dollars in treatments can bring about dramatic performance improvements. However, even after we’ve set up and treated the room to the greatest practical extent, frequency response at the listening position likely shows amplitude swings in excess of 20dB. All of that care put into selecting audio components with an accurate response to fractions of a dB across the entire audible range and loudspeakers with on-axis response accurate to +/- a few dB would seem to be wasted given the vast inaccuracies of room response. Fortunately, our brains are remarkably adept at processing what we hear, enabling us to quickly adapt to the uneven response caused by our listening environment. When you go to a friend’s house for a listening session, you may have found that it takes a track or two for you to fully wrap your head around what you are hearing, but after that, the music becomes much more enjoyable. That’s your internal DSP kicking in to make sense of what you’re hearing in the new environment. But surely those huge errors in amplitude response are masking important details in the music! I imagine that our brains would be more relaxed if we could feed them from a loudspeaker + room system with a more accurate response. Fortunately, in recent years digital room correction systems have become both affordable (in Audiophile terms) and effective at substantially improving system response at the listening position without the awkward phase shifts, noise, and other issues associated with old-school EQ. The better DRC systems address both amplitude and phase response, which can be helpful when using loudspeakers with multiple drivers and complex crossovers. A system setup correctly within a treated room and calibrated using digital room correction may sound different from what you (and your brain) are used to, but it will be more enjoyable to listen to over longer periods of time and sounds great with a broader range of music even at lower playback levels. Sounds great, right? But DRC has significant limitations that you should be aware of before diving in. Room tuning is about achieving a pleasing balance between direct sound from the loudspeakers and reflected sound from the room. If your listening room is excessively live (hardwood or tile floors, exposed windows, etc. ), DRC can’t remove those harsh reflections; attempting DRC without treating strong reflections first will usually make things worse! The DRC system will even out the response at the listening position, but if there are peaks in the reflected energy, DRC may reduce output at those frequencies to compensate, creating dips in the direct sound response. If your loudspeakers don’t have smooth off-axis response, DRC may ruin direct response for the same reason. DRC corrections to low-frequency response are primarily effective only for one listening position. Finally, DRC can’t fix bass nulls due to room modes since these are the result of the destructive interference of long waves affecting specific locations in the room. Increasing output at those frequencies increases the interference also resulting in the same cancellation while overworking your amps and loudspeakers. Bass traps and adjusting the locations of your listening position and loudspeakers are the only way to minimize these nulls. You can, however, use DRC measurement tools to find out if the changes you are making are improving nulls or making them worse. Naively, one might imagine the ideal amplitude response at the listening position is “flat” since this is what we expect from amplifiers and sources in the playback system. Anyone who has used a real-time analyzer and graphic or parametric EQ can tell you from experience that flat response at the listening position sounds thin, tinny, and generally awful. Since flat doesn’t work, there are a number of proposals for ideal target curves that have more energy at low frequencies and gradually taper off the highs. Popular curves include the B&K curve, the Harman Synthesis curve, and Bob Katz’ flat to 1kHz, then -6bB at 20kHz. However, another DRC gotcha is the notion that there is a single target response curve that is applicable to all rooms. These curves provide a nice starting point, but additional voicing is almost always required to make the system sound natural and really sing. 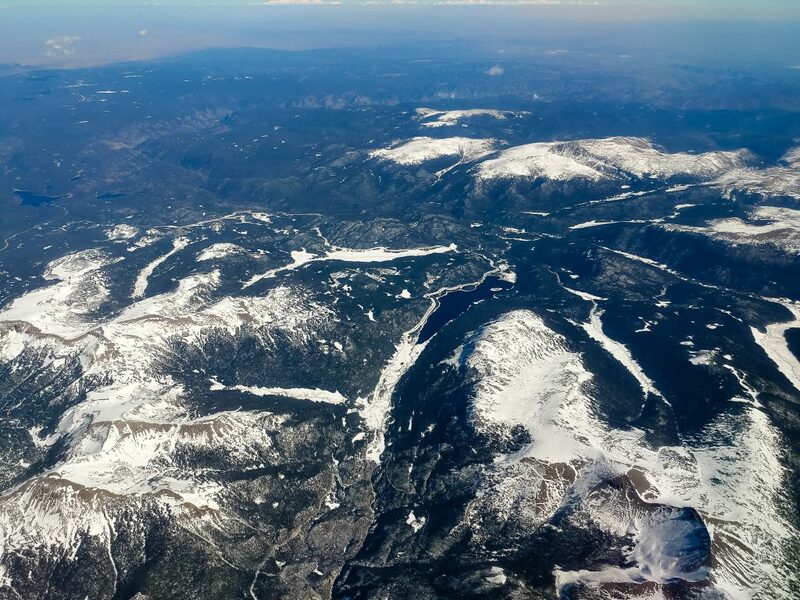 Dr. Floyd E. Toole does a great job of explaining reasons for this in his paper, The Measurement and Calibration of Sound Reproducing Systems. Although systems for correcting room response have been around for many years, audiophiles tend to avoid them because they often create more problems than they solve. Common problems include improving amplitude response at the expense of phase response and correcting room response while ruining direct response. However, I would argue that the technology, while still not particularly user-friendly, is finally mature enough to overcome most audiophile objections. Modern Finite Impulse Response (FIR) based systems can actually improve phase response, and even Infinite Impulse Response (IIR) based systems can improve both frequency response and imaging, assuming room setup issues are addressed first. Computer audiophiles have more integration options available to them since their music sources are already in digital form. Popular playback software, including JRiver, HQPlayer, etc. 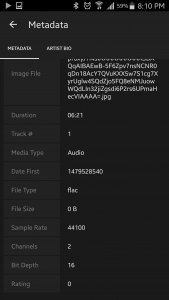 can actually apply FIR based room correction filters on-the-fly during playback. 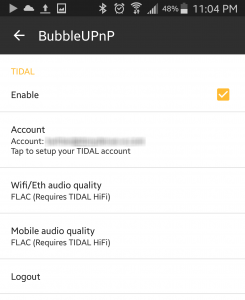 Fans of lossless streaming services like TIDAL will want to look into adding a network audio adapter (NAA) to their playback system. This NAA architecture employs a powerful PC, typically placed in another room, to apply room correction, upsampling, format conversion, etc. on the audio stream. The stream is then transmitted over a local network to the tiny, quiet, solid-state NAA device that is in the playback system and attached to a DAC. The more powerful PC also runs media management and playback software which is operated via a tablet/smartphone-based remote control app. Another option is to simply create a copy the music files with room correction baked into them using an offline process. While applying correction offline will take time (requires about a week for my library), offline convolution can be slightly higher quality, CPU demands on playback hardware are dramatically reduced, and playback latency introduced by real-time convolution is eliminated. If you assemble the equipment listed above and follow the instructions to record the pulses, Uli has offered to build room correction filters and apply them to a couple of your music files so that you can evaluate the solution in your own room. My Acourate license does not permit me to share the actual filters that the software creates, but I’m happy to apply the filters to a few of your tracks as well to help you evaluate the solution in your own system. Feel free to contact me if I can answer questions or help you get started.